Virtual Reality Headset Hygiene & Comfort Accessories for Oculus Rift, HTC Vive, Samsung Odyssey and more. Back By Popular Demand! Oculus Rift Facial Interface For Glasses! When your prescription frames get in the way of a great VR experience, it’s time to switch the stock foam to our glasses-compatible Oculus Rift Facial Interface. We stopped selling this a year ago but received a lot of emails asking for it, so we’ve now brought it back for a limited time period. Enjoy more space inside the headset and relieve the pressure from your glasses. At 1 cm longer than our standard interface, this extended version increases the depth of the interior, accommodating thicker glasses while keeping them from scratching the lens. You can use our thin foam replacements to still stay close to the lens to avoid sacrificing the field of view. To order the long interface in our Oculus Rift sets, simply select it from the dropdown menu. Buy yours today to play VR in comfort! 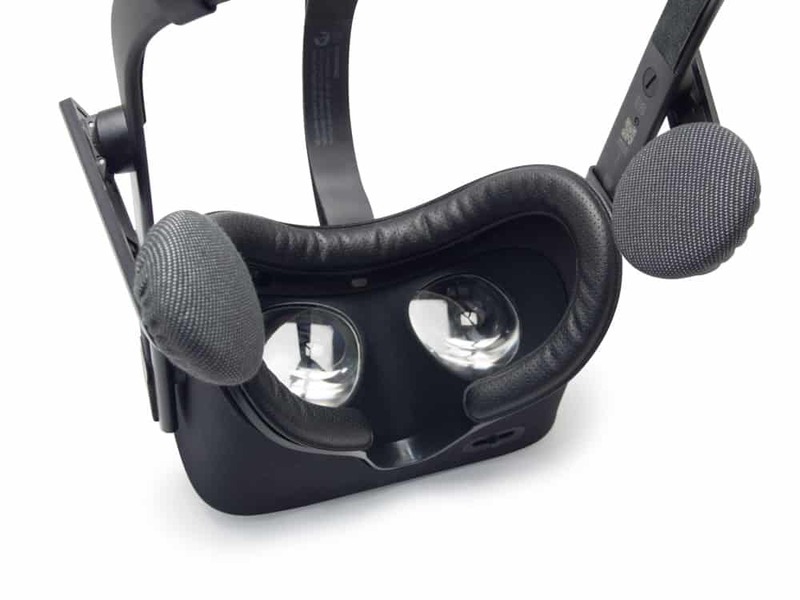 Shop Oculus Rift Foam & Interface Sets Now! Finally! New Samsung Odyssey Plus Foam Replacements! Are you seeking to improve the comfort and quality of your Samsung Odyssey+ face padding? If the answer is yes, then look no further than our new foam replacement solution tailored for the Windows Mixed Reality headset. With every pack, you get two 24mm PU leather foam pieces with built-in velcro hooks on the back to enable easy attachment to the facial interface. Noticeably softer and thicker than the original stock foam, our foam replacement applies less overall pressure to the face. The closer, and hence better fit, can also help block some light leaking in from the sides and bottom. The PU leather material is easy to clean and can be quickly wiped dry between uses. This convenient feature makes the replacements a practical, must-have accessory in shared VR sessions. The Samsung Odyssey Plus Foam Replacements help you get the most out of your time in virtual reality while maintaining a high level of hygiene and even improving comfort. Enhance your VR experience with our new Oculus Go Head Strap Replacement. Made out of a soft elastic combined with a moisture-resistant PU leather exterior, it offers premium comfort for extended gaming sessions. Easy to adjust and a breeze to clean between uses. There are two available lengths – Medium (48-50cm) and Standard (52-62cm), which is similar to the original head strap, – so you can find your perfect fit. 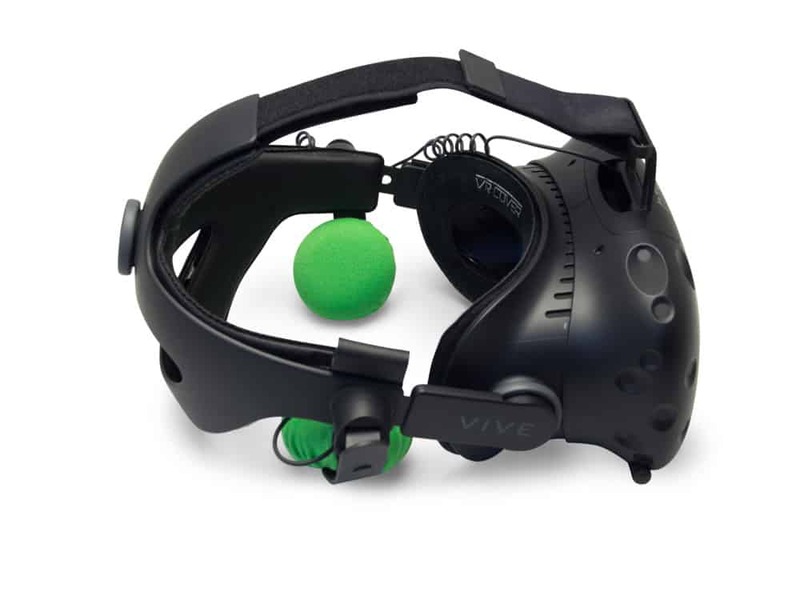 The joys of using our disposable hygiene covers are no longer limited to HTC Vive users. Today we release the Universal Disposable Hygiene Covers which are now compatible with the Oculus Rift, Samsung Gear VR and HTC Vive as well as the Windows Mixed Reality headsets from Acer, HP, Lenovo and Samsung. The disposable covers are a game-changer in terms of comfort, hygiene and convenience when sharing your headset. If you’ve ever been to an event that uses paper style ninja-masks you’ll understand the frustration of a cover that isn’t secure and can’t handle sweat. Our covers use a light adhesive to attach to PU leather foam replacements so the fit is secure and requires no clean-up. The covers are made from 3 layers of moisture absorbing materials that can handle the most intense VR workouts and games. Our Starter Kit contains the necessary PU leather foam replacements needed to safely use the disposable covers. If you have previously purchased our PU leather foam replacements, the covers can be bought alone by choosing the Extra Pack. Are your VR headphones starting to look a little worse for wear after being abused for several hundred hours? Fear not! You can now freshen them up with our cotton covers. The covers are simple to attach over the headphones and secure with elastic for a comfortable fit. There’s no negative impact on sound quality and the covers can be easily machine washed when necessary. Offered in two sizes (Regular and Large) and two colors (Gray and Green) they are suitable for the Oculus Rift, HTC Vive Deluxe Audio Strap, Samsung Odyssey and more. And finally, to cure your winter blues….. 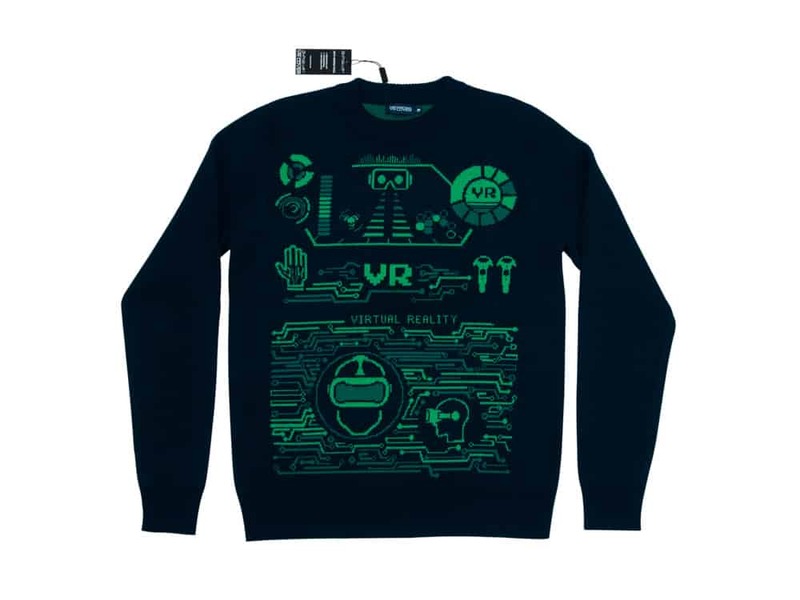 Enter our competition to win a Merino Wool VR Sweater every week for the next month! Also, keep up to date with the VR Lens Lab team on Facebook! Entrants must be following the Twitter account @VRLensLab to be in with a chance of winning. The first winner will be chosen beginning 9th February 2018 and the last 2nd March 2018 (promotional period). A total of four prizes will be given, one winner chosen each Friday of the promotional period. Winners will be contacted directly via Twitter. They will be asked to provide their size and address information, failure to respond within 5 days will result in a redraw. Except for the purpose of carrying out the promotion,we will not use entrants’ personal data without the express consent of the entrant.